The First World War had a huge impact on communities up and down the country, not just communities defined by physical location, but clubs, associations, churches and sporting groups as well. In The Final Whistle Stephen Cooper focuses on the effect of the war on Rosslyn Rugby club, based in Richmond, south west London. The club saw over 350 of its former and active players join up to fight, with 106 being recorded by Cooper as casualties. However, rather than provide a biography of each club member who died, Cooper has instead focused on just 15. This is not an arbitrary figure but represents an entire team, a team who were never to play again. There is little narrative to bind the men together other than their shared connection to the club. However, taking a chronological approach by the date each man was killed each chapter focuses on one of the men, providing an in depth pen portrait which naturally includes details of his rugby career. The course of the war is therefore followed, covering many of the services and theatres of war, from the infantry and artillery on the western front and the arid scrub of Gallipoli via the war in the air and at sea. The stories are rich in context from numerous meticulously researched sources, evidenced by the comprehensive notes, and complemented by accompanying pictures. The link between sport and war itself is a natural one that has been commented upon extensively. 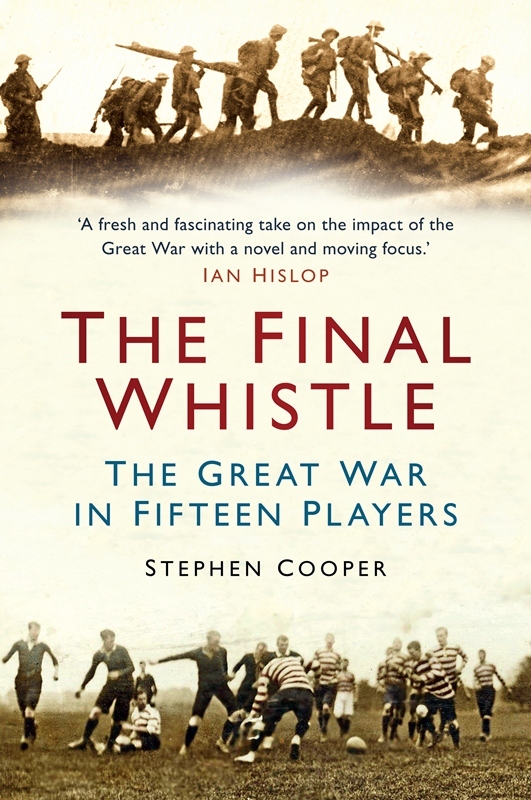 If used too much it can enter the world of cliché, but whilst Cooper examines the contribution of the rugby community to the war effort, he does not labour the point. Interestingly, of the 87 casualties listed in the appendix, only three were not commissioned officers. More tellingly, a column indicating their alma mater throws up a selection of England’s finest public schools, such as Eton, Uppingham, St. Paul’s. In this way it as much a commentary on the position rugby held in society, and the public school sports field as a training ground for young officers. Indeed, one message that comes across is that the qualities needed to be part of the team on the rugby field were embodied in these men’s lives and deaths. The decision to focus on a small number of the men in effect actually has more impact than writing about every club member who died; there is more focus, more space to draw the reader in to each man’s life and personality, and more sense of the impact his death had on his family, friends, and the club itself. Cooper has an accessible and genial writing style, and even for those who do not have an interest in the sport I would wholeheartedly recommend this book.